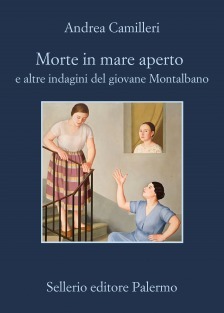 Room number 2, Double Investigation, Death on the Open Sea, The Stolen Ticket, The Transaction, As Practice Required, An Apricot, The Honest Thief: eight investigations by a young, intrepid, impulsive Montalbano. He carries a loaded pistol and is full of resourcefulness, often resorting to tricks to get his man. His relationship with Livia is passionate and intense. 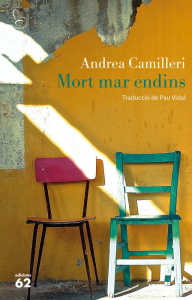 The Vigàta police station is inhabited by characters well known to Camilleri’s readers; what is different is Montalbano’s relationships with his associates. His links with Fazio are still hierarchical; Augello is an unashamed womanizer whose insatiable desire for conquests nearly costs Montalbano his life during one investigation; the inspector’s most reliable colleague, on the other hand, is clear-headed and quick-thinking; lastly, a slammed door marks Caterella’s entry onto the stage. The chief inspector in Montelusa is the paternal, tolerant Burlando; he likes the impulsive young inspector and is happy to cover for him on more than one occasion. The stories are set in the Eighties and reflect the events of those years in Italy, from the Sindona affair to the shooting of John Paul II. Montalbano investigates crimes of many kinds, from property speculations to family disputes; the background noise, however, is that of the mafia.